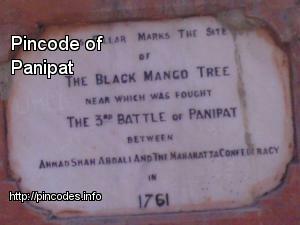 Panipat �pronunciation� (Hindi: पानीपत) is an ancient and historic city in Haryana, India. It is 90�km north of Delhi and 169�km south of Chandigarh on NH-1. The battles fought at the city in 1526, 1556 and 1761 were turning points in Indian history. The city is famous in India by the name of "City of Weaver". The first verse of the Bhagavad Gita is possibly referring to Panipat as 'Dharmakshetra'. The incident took place in Panipat's Sanoli. Short circuit was said to be the reason behind the mishap that took place on Friday, officials said.